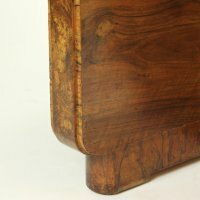 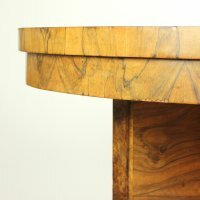 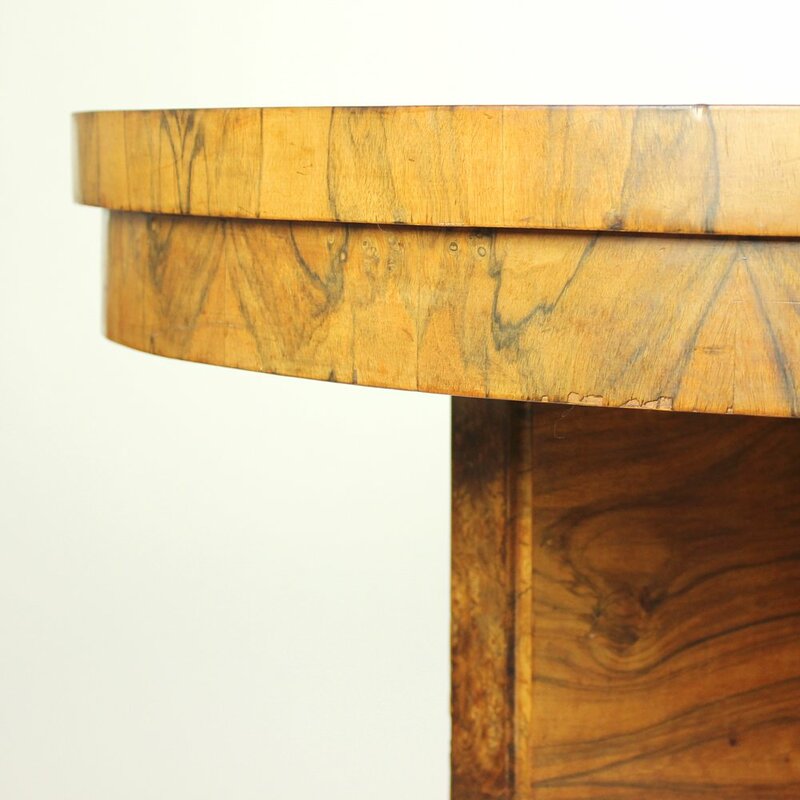 Massive tablewith wonderful veneer in an excellent condition. 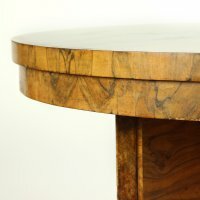 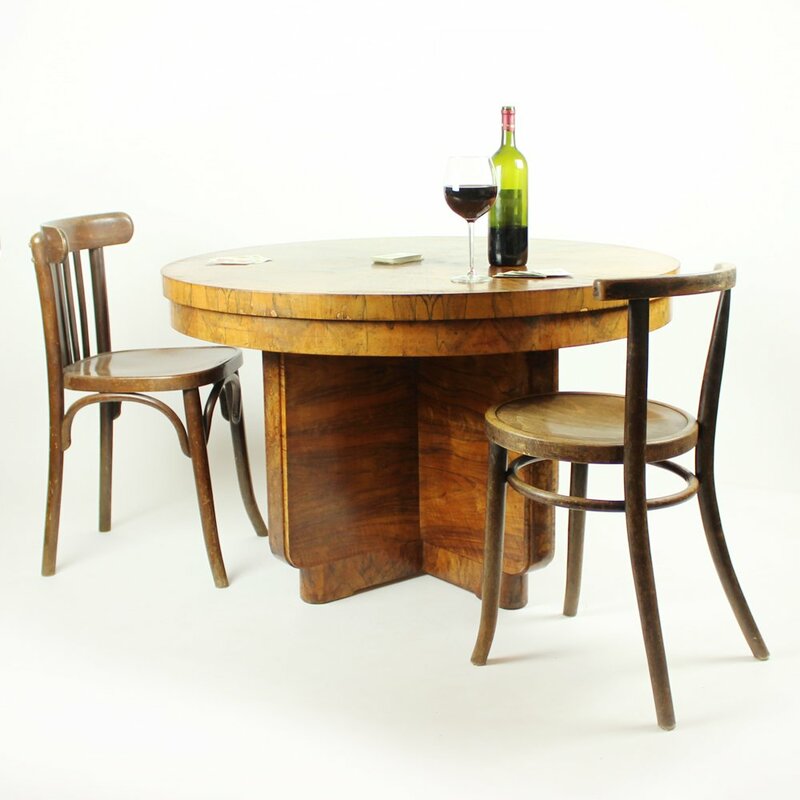 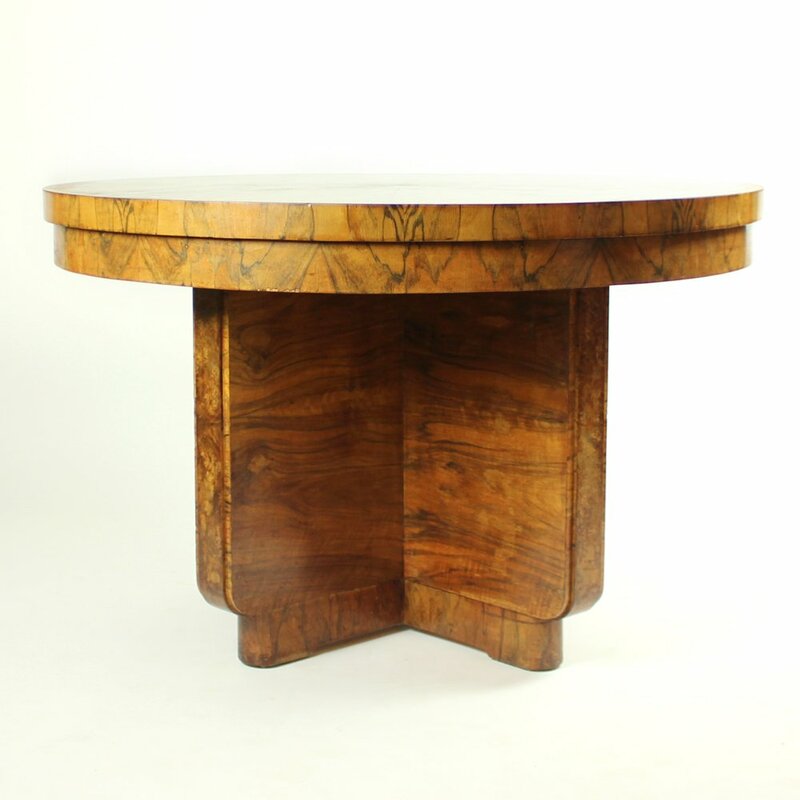 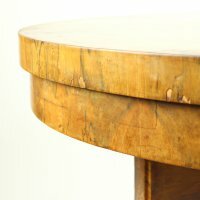 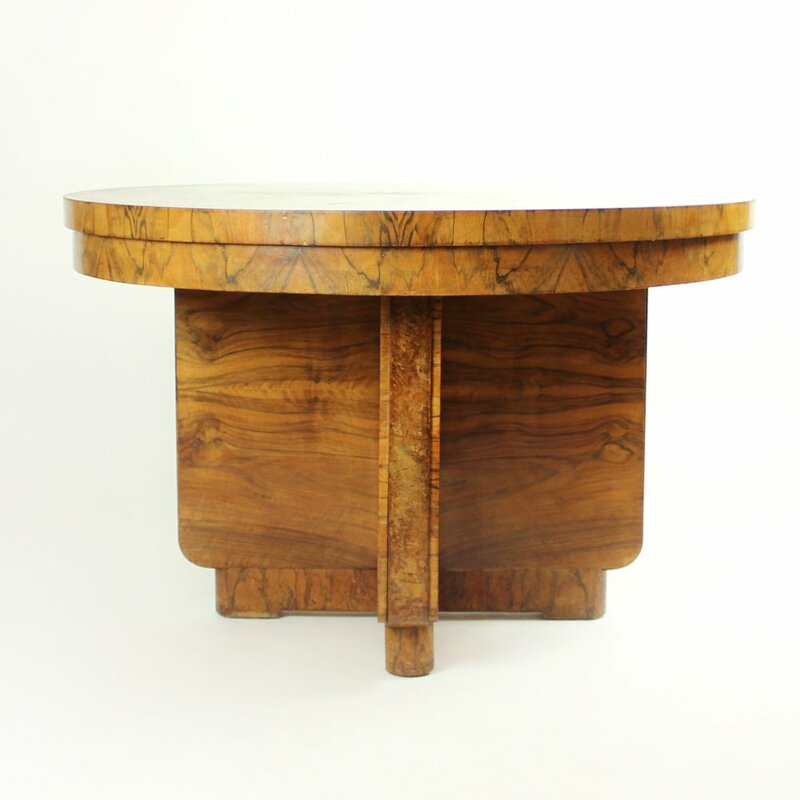 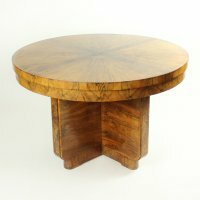 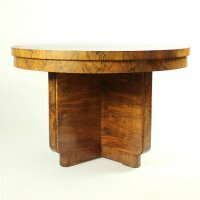 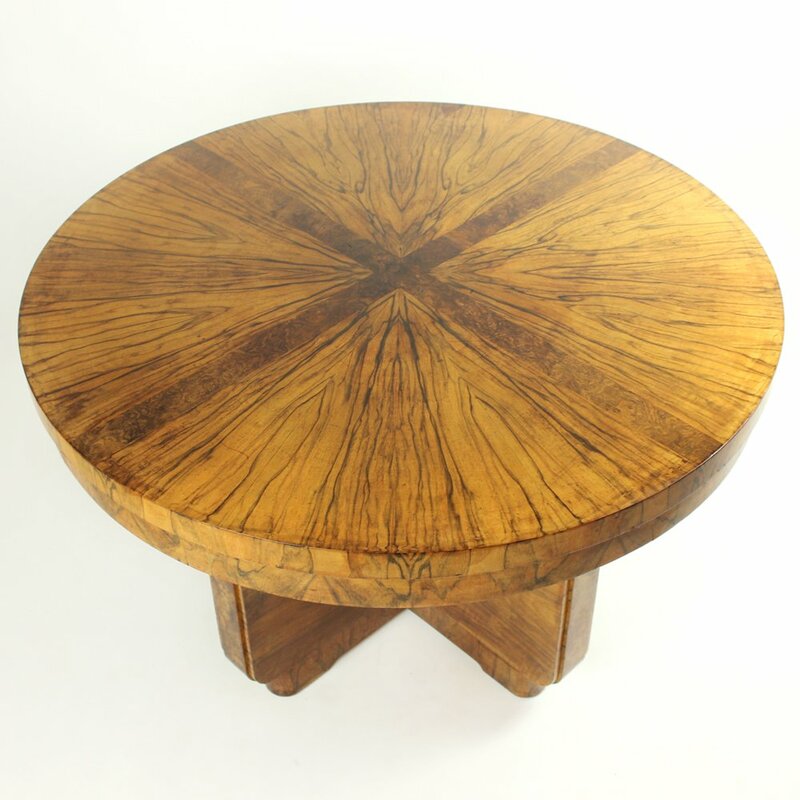 The art-deco style table is hard to fit in one category, its radius makes it a big table, however its size is lower than usual. 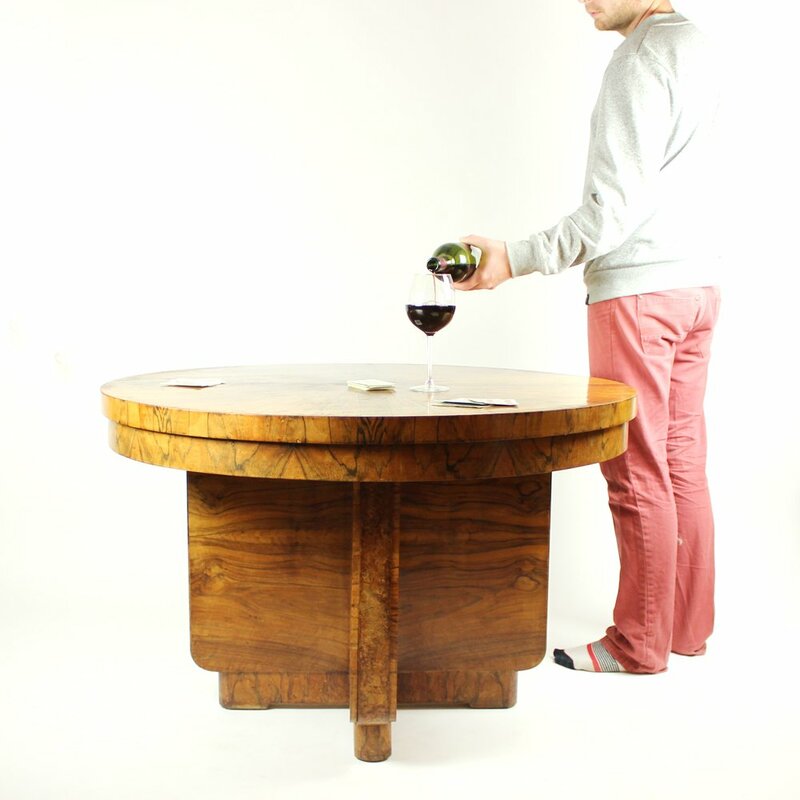 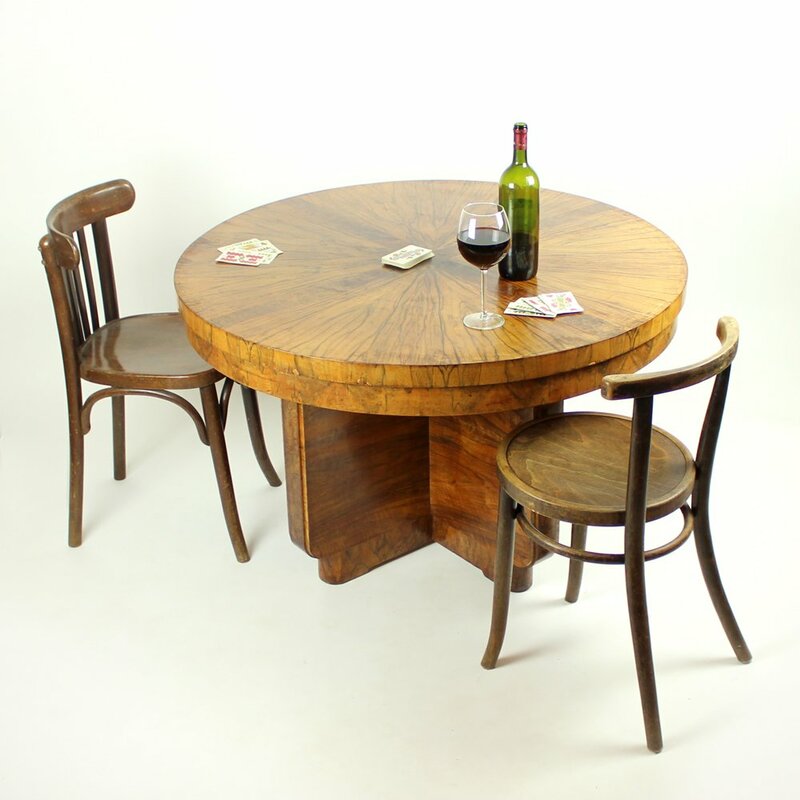 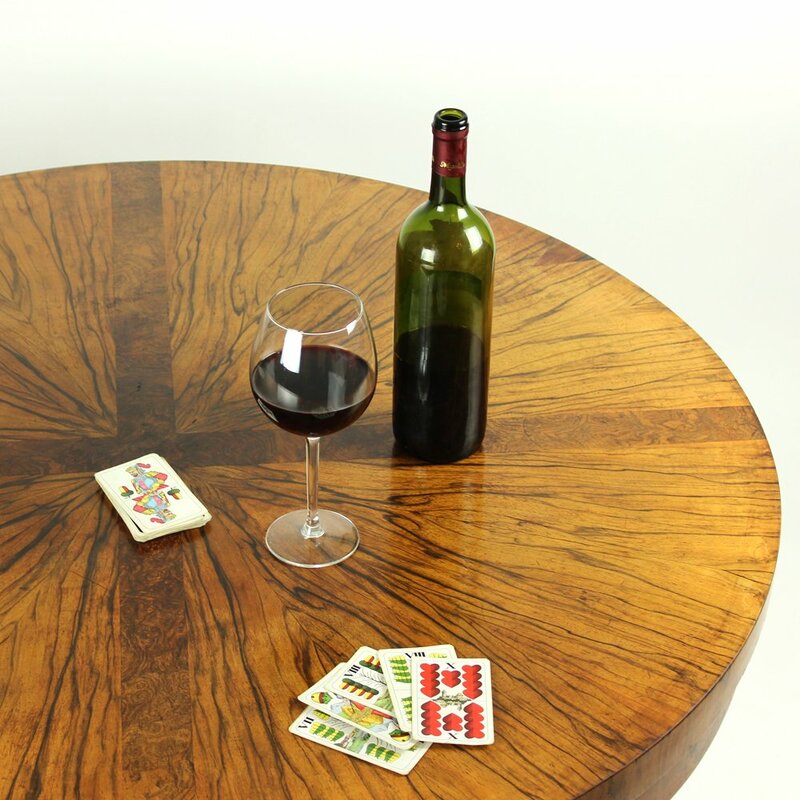 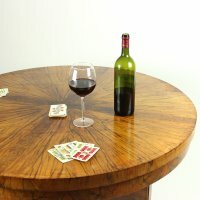 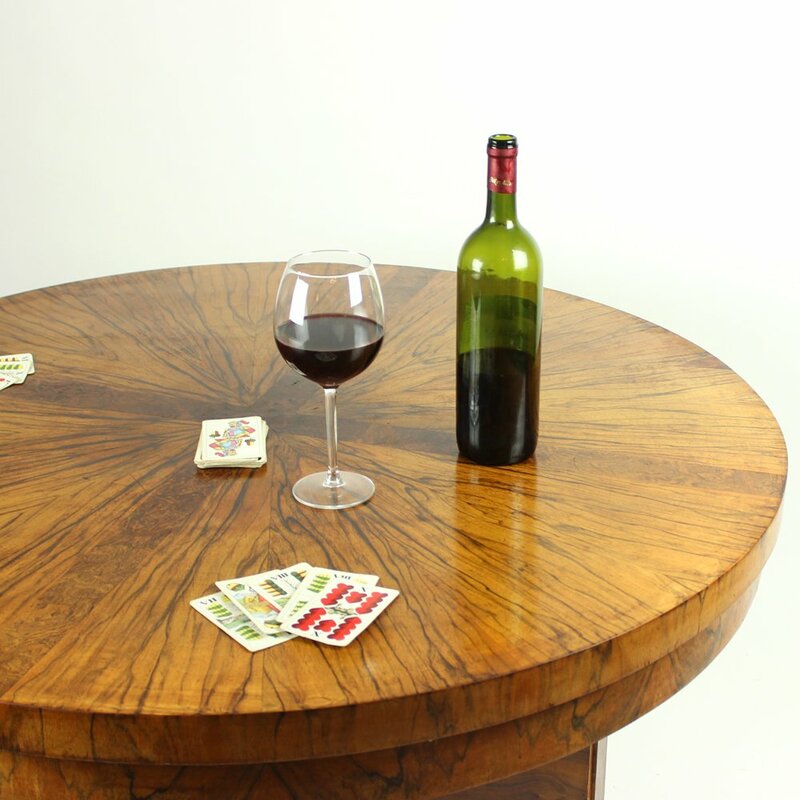 Therefore it could be a coffee table, or a dining table for the right people. 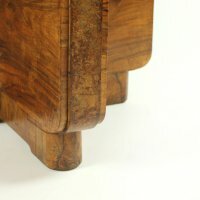 Shows minor wear.